Order your seats online and prepare to one of the best performance by Tesla. Our website proposes to you cheap tickets for all music events. The 1980s were all about big hair and music that totally rocked hard! 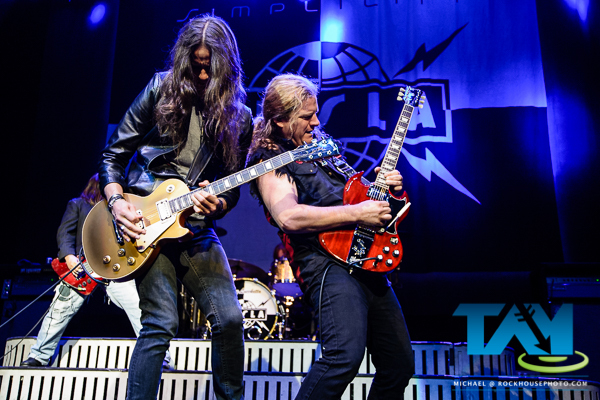 Few heavy metal bands invoke the nostalgia of California-based Tesla. At the height of their success, they toured with mega acts such as David Lee Roth, Poison, and Alice Cooper. 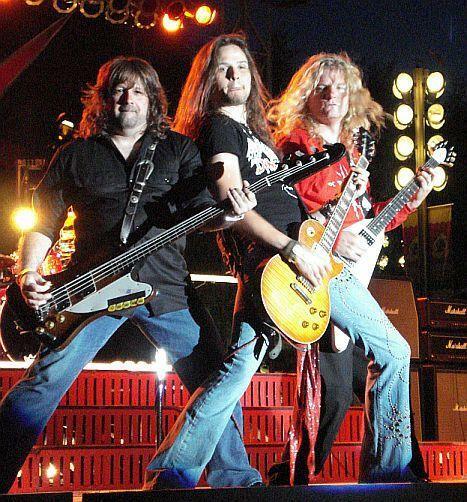 Today, 35 years after they first launched their hard rock act, they are still going strong. In fact, heavy metal fans were really excited when Tesla announced that in 2017 they would join Poison and Def Leppard on a tour that will take them all around the US! Concert-goers who want to rock hard have been itching to see Tesla perform live. As a result, scoring Tesla tickets can be a real challenge, especially when the lineup includes a pair of other legendary groups. So where do fans turn when they want to attend Tesla's concerts? Concertics, of course! Concertics is one of the top ticket resale marketplaces on the internet. When merchants have tickets to sell, they trust Concertics because they know the tickets will be snatched up immediately. Fans who want to buy Tesla tickets in 2017 have made Concertics their preferred choice because it makes the process so quick and convenient! Just use the Concertics search tool to find out about Tesla's upcoming concerts. Given that they will be performing coast-to-coast, you are certain to find them rocking out at a venue near you! Once you decide on the Tesla concerts that fit your schedule, just choose the price range that fits your budget, select the seating arrangement that you prefer, make a secure payment, and the tickets are yours! Concertics allows you to download your tickets onto your computer or device, which means you never have to wait for them to arrive by mail. You also never have to stand in line for hours to get tickets to Tesla shows. You can buy them right at home! Tesla is part of a tour that will be among the most anticipated of the year. After all, how often does the lineup include three of the biggest musical acts of a particular decade? The Tesla dates might be in 2017, but you will feel like you are living in 1985 all over again! The Tesla concert is a great opportunity for the newer generation of rock fans to experience this legendary group live, so whether you are a Millennial or have children who are part of this generation, you are in for an evening of great fun and entertainment! So buy your Tesla tickets from Concertics today while they last! 1. Do you already know the Tesla upcoming concerts & shows 2017 ? Are you already interested in a particular concert? Now, you can find a matchup that will satisfy you using the date or opponent filters. 2. Hit "Tickets" button to look through all the Tesla tickets available, and the interactive seating chart of the concert location. Filter the tickets by price and quantity – it will save your time when choosing the perfect match in the proper price range. The "eTickets Only" filter reveals all the tickets to the concert that are delivered to customers via Internet. You can check the event venue places available in every section on the interactive seating map and find the most convenient of them for you. Make sure the ticket meets all your requirements and use “Go” button to go to checkout page. 3. On this page carefully check the chosen Tesla tickets details. Scrutinize the ticket notes and the information on delivery. After you ensure that there are no mistakes, populate a checkout form fields, and get the Tesla Tickets you want! Enjoy them!